It's finally here! FALL. Fall is my absolute favorite season. Summer is always nice, but by mid-July, I'm ready for some brisk air, Halloween decorations, and pumpkin spice lattés. My favorite thing about fall, though? Fall fashion. I feel like shorts and tank tops get old real quick during the summertime, but in the fall, the fashion possibilities seem endless. Fall clothes leave you with so many different options. 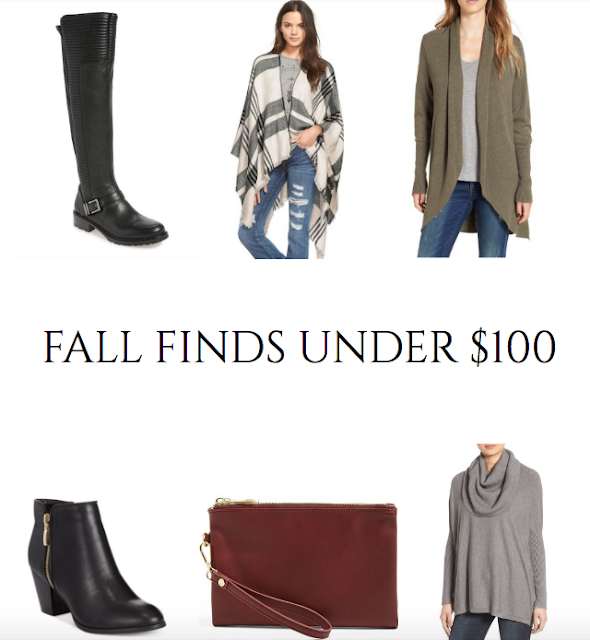 Today on the blog, I'm sharing a few fall finds under $100. As a college student, I'm always looking for a good deal that's also super stylish. I've sifted through my favorite online shopping websites, including Nordstrom, to find some amazing deals on some fabulous fall fashion. Hopefully you will find some ideas for some fall outfits for work, fall outfits for school, and just casual fall outfits for everyday wear. Enjoy! What pieces are you loving this fall? Loving the booties! So chic! I love your picks! I would wear all of them. That plaid poncho looks so cute! Thanks for sharing. Poncho...that grey and white poncho...I want it!!! I love a good bargain. Great finds! Fall and Spiring are my favorite seasons and I love when I see affordable and supper stylish pieces like the ones you picked here! Amazing! I love fall fashion as well and plus it doesn't get that cold here in Las Vegas. Lovely picks! I love New England because we have fall :) thank you love! 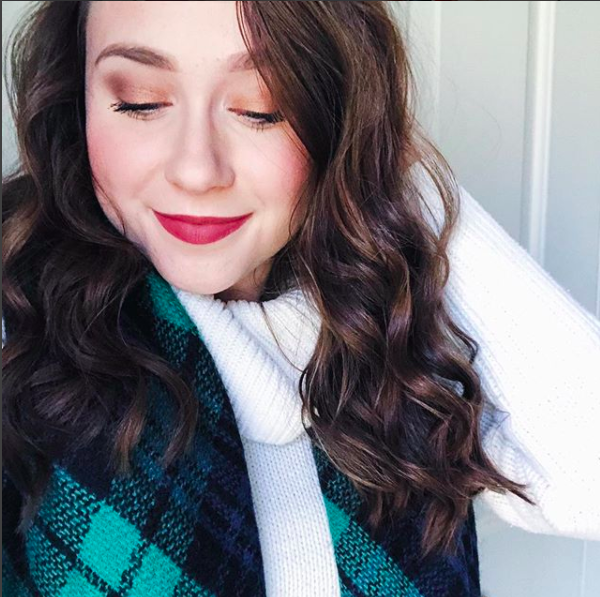 I love fall fashion and everything about it too! Nice pieces! Love the boots and cardigans! Ahh so excited for fall! Awesome picks. I have a feeling ponchos are going to be really popular this fall! Oh wow! I love your picks pretty, I will definitely wear them all. I love everything about this! Such a great outfit! !